Atonix Digital was formed with a vision to enable a paradigm shift in asset management by unifying asset data and analytics into one environment to provide a “single source of truth.” A subsidiary of Black & Veatch Corporation, Atonix Digital has carved a niche for itself by purpose-building asset management experiences for a variety of industry verticals. “Rather than delivering an open framework that needs customization, we offer domain-focused experiences tailored for specific objectives,” mentions Matt Kirchner, Solutions Director, Atonix Digital. The company’s core strength to integrate and analyze disparate data sets emanates from ASSET360—a cloud-based data analytics platform—which simplifies the management of both centralized and distributed assets. Backed by the heritage of Black & Veatch, ASSET360 integrates data from various sources to provide a holistic view. ASSET360 powers applications that span the asset lifecycle—SEKOIA coordinates design and construction, while Alerts and Issues Management ensure reliable and efficient asset operation. Friendly user experiences that visually display numerous data sources to provide a big picture mark another core strength of ASSET360. These visualizations coupled with interactive tools, such as the time slider, reflects the data over time, past and future, to help clients immediately understand the history, relate it to the present and proactively predict future possibilities. The dashboards are also easily understandable to aid in collaboration and communication across various roles and departments. 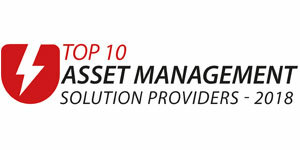 The platform delivers three categories of solutions— Explore, Operate, and Plan—to provide useful insights for asset management. “Each category provides value alone, but uniting the experience delivers compounding value and full lifecycle management,” notes Kirchner. The advanced visualization techniques allow users to explore by manipulating data sets to obtain actionable insights while analytics uncover emerging risks and inefficiencies. “We leverage machine learning to analyze the data in real time to mitigate the risk of outages and reduce maintenance costs,” says Kirchner. The insights obtained from operating data further help in planning asset maintenance and capital investment. These functions combine to provide a path for optimal financial performance of assets, systems, and portfolios. ASSET360 solutions facilitate decision-making across a range of domains. “We developed ASSET360 to support use cases in several different markets. Functionality is abstracted or synthesized to support many types of assets, then tailored to suit the purpose of the applied market,” says Kirchner. ASSET360 is widely employed across various markets including power, water, grid, smart city, and oil and gas. In one of Atonix Digital’s projects, ASSET360 was used to assist a power generating company analyze thousands of data points from sensors in the platform’s analytics engine, at one-minute increments. This enabled the client to observe a slight change in the vibration of a bearing in the generator. Although the change in vibration frequency was very subtle and the bearing had not reached the point of damage, the platform issued an alert prompting further diagnostics. The analysis provided insights about earlier outages, and led the client to conduct preventative maintenance to save big on lost generation and avoided maintenance costs. Atonix Digital continuously works to enhance its solutions and invests sufficient time and resources in leveraging technologies such as AI and IoT. The company is also enhancing the IoT and edge processing capabilities to communicate data back and forth to make decisions with regards to distributed assets. Apart from continuing its growth in its core markets, Atonix Digital plans to get into other asset-intensive industrial markets.